NEW BEDFORD, Mass. 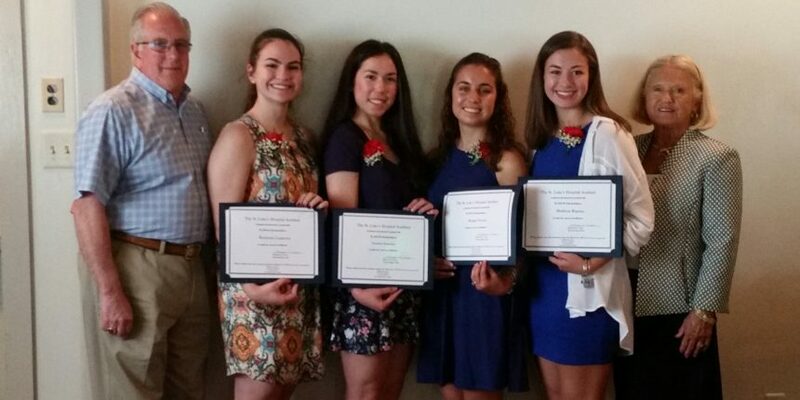 — The St. Luke’s Hospital Auxiliary, a part of Southcoast Health, recently announced $5,000 in scholarship awards for Greater New Bedford students who are pursuing a career in healthcare. 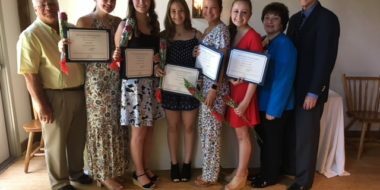 The awards were presented by Shauneen Crane, Scholarship Chair for the St. Luke’s Hospital Auxiliary, during the annual Scholarship Luncheon on June 7 at the Century House in New Bedford. Rumyana Lazarova, a Dartmouth High School graduate, will be entering University of Mass-Amherst to begin her studies in biochemistry. Megan Pereira, a graduate of Bishop Stang High School, will be entering Simmons College’s Nursing Program and the accelerated 3+3 Exercise Science Program/Doctorate in Physical Therapy Program. Madison Raposa, a graduate of Greater New Bedford Vocational Technical High School, will be entering the University of Massachusetts Amherst where she will major in Pre-Medical Studies. 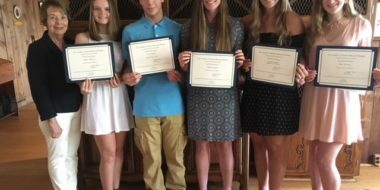 Ashley Rice, a Fairhaven High School graduate, will be entering the University of Massachusetts Amherst to begin her studies in Health Sciences. 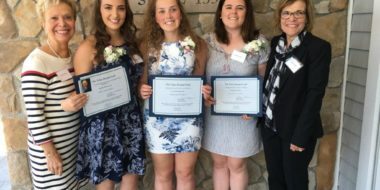 Elizabeth Rodericks, a Fairhaven High School graduate, will be entering Massachusetts College of Pharmacy and Health Sciences to begin studying in the field of medical science – anesthesiology, pathology, and molecular biology. Joining the Auxiliary is a great way to become involved in your community hospital. Members serve as ambassadors to the community on behalf of the hospital. For more information or to join, please contact Jessie, Membership Chair, at 508-636-5324.